Applications are now being accepted for an all-expense-paid, two-week study abroad program to the Philippines, the University of Hawaiʻi Maui College International Office announced. Photo Courtesy UH Maui College. 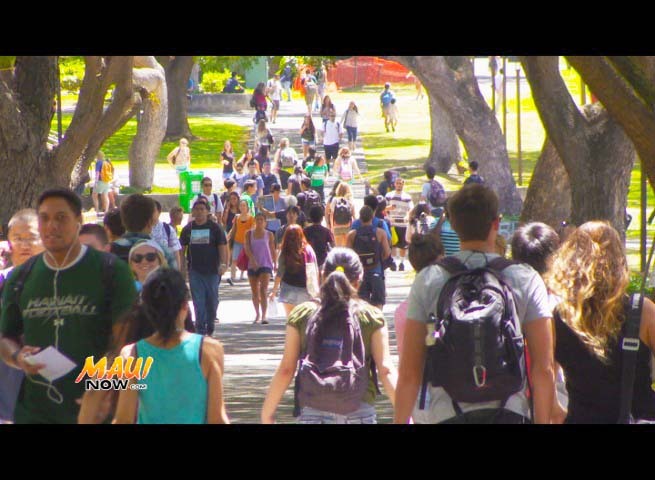 The program is open to high school seniors who are attending UH Maui College in Spring 2018 and to continuing or returning students who are enrolling in the Spring semester. The program will take place in the Summer of 2018. 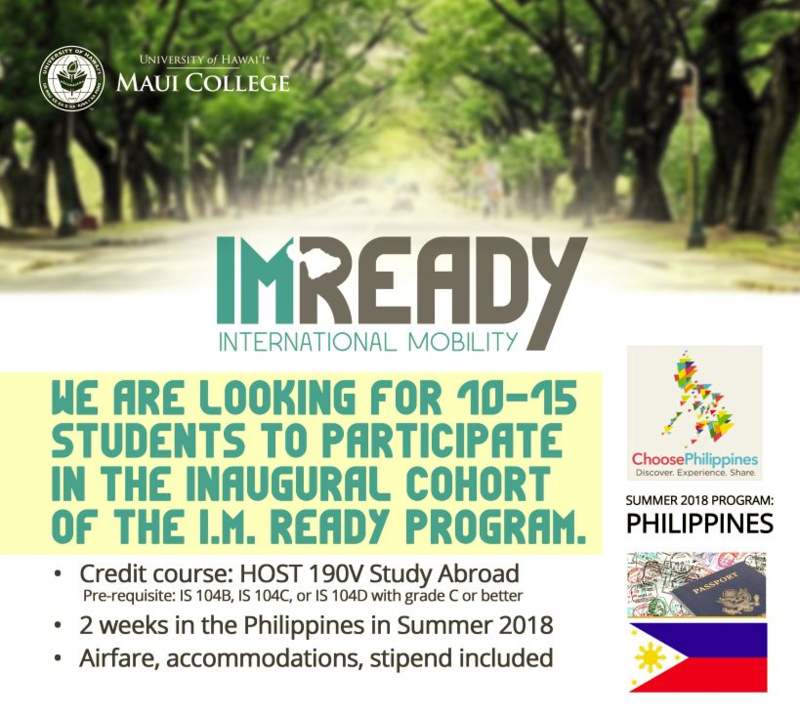 The college will select 10 to 15 students as part of the initiative called I.M. Ready program. Airfare, accommodations and stipend will be included for those who are selected. 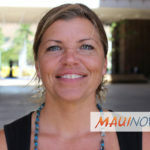 School officials say the immersion program, which stands for ‘International Mobility,’ aims to empower students by providing them the opportunity to gain global experiences, expand their network and build lasting relationships beyond the islands of Maui County. 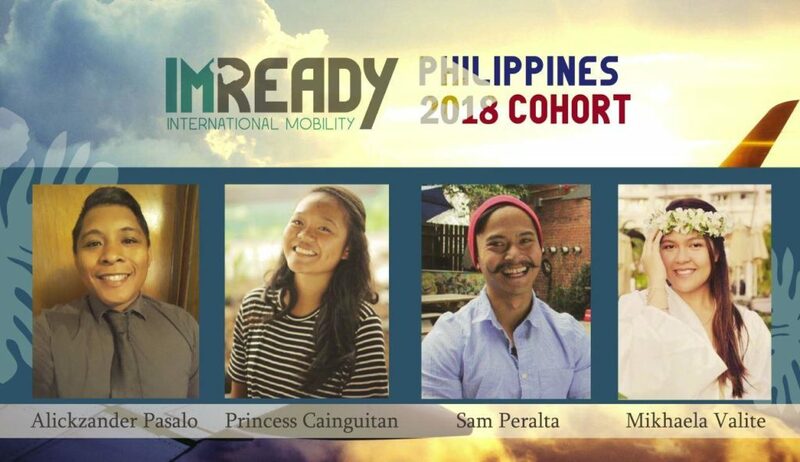 Officials added that the group may have the opportunity to attend classes in top universities in the Philippines like the University of the Philippines, Ateneo De Manila University, Mapua Institute of Technology, University of Asia and the Pacific and De La Salle University. The inaugural program is led by the college’s Kabalikat Council, a group of leaders in the community with a mission to promote the advancement of students in higher education. 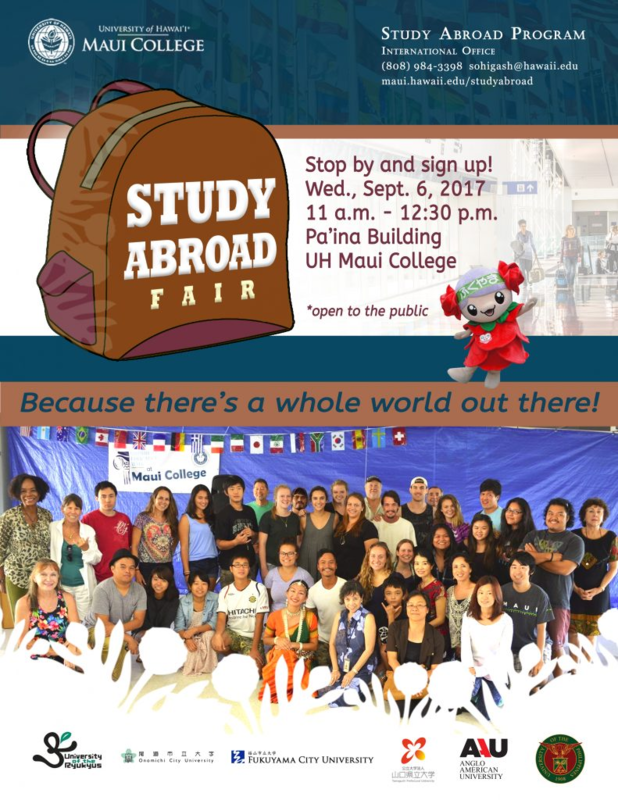 Interested applicants should submit the application form and requirements to market@hawaii.edu no later than Oct. 31, 2017. Selected students will be notified by mid-November. 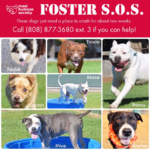 Click here to download the form and learn more about the program.